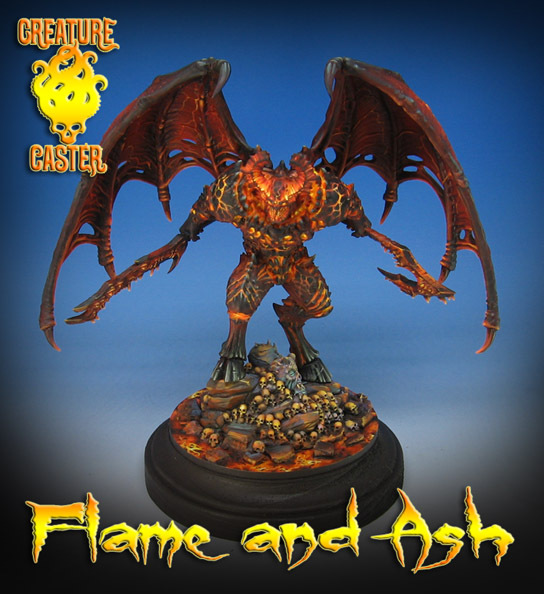 I have been very lucky to have had the chance to work on some of the nifty demons from Creature Caster! 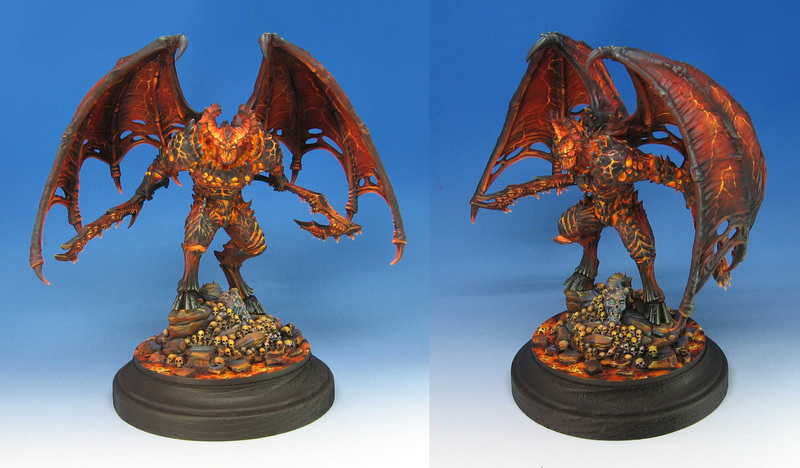 When I saw this guy, I knew that I had to try my internal "Balrog" effect on it! 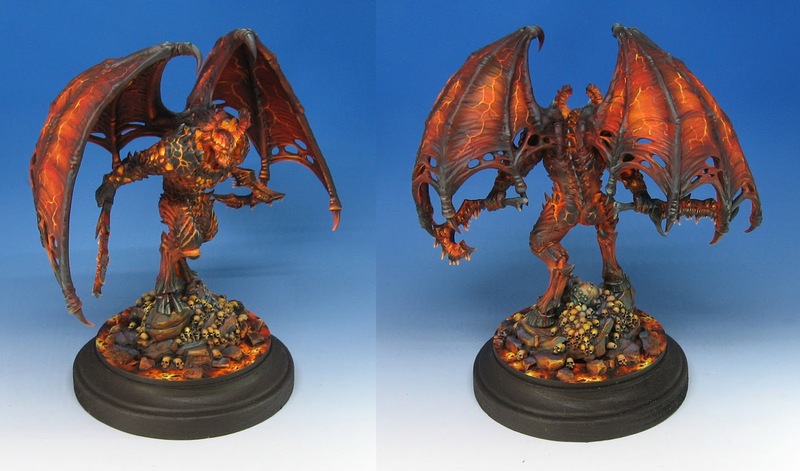 This was one more example of how handy the Vallejo Fluorescent paints can be! There is an extra intensity to them which you just don't find in any orange or yellow paint. I extended the base a little bit once I placed it on the wooden plaque, using a few chunks of sculpey for additional rocks, and a few Secret Weapon skulls to continue the pile. I will be doing a number of other demons, trying out new techniques and mediums. In addition, I am creating multi episode painting videos for each of these beasts! 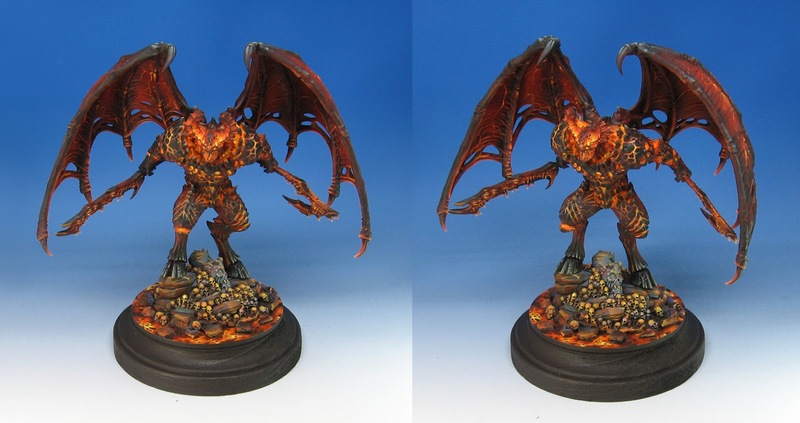 For example, the video for the Lord of Slaughter has episodes which cover the wings, the head and weapons, the torso and finally the base. Since each miniature comes in pretty defined parts along those lines, it made it much easier to paint those elements separately. By doing so, it meant that I could get more or the finer details on camera. Also, making them individual episodes means it is easier to locate the section which you may want to see again, and not have to search through several hours of video! 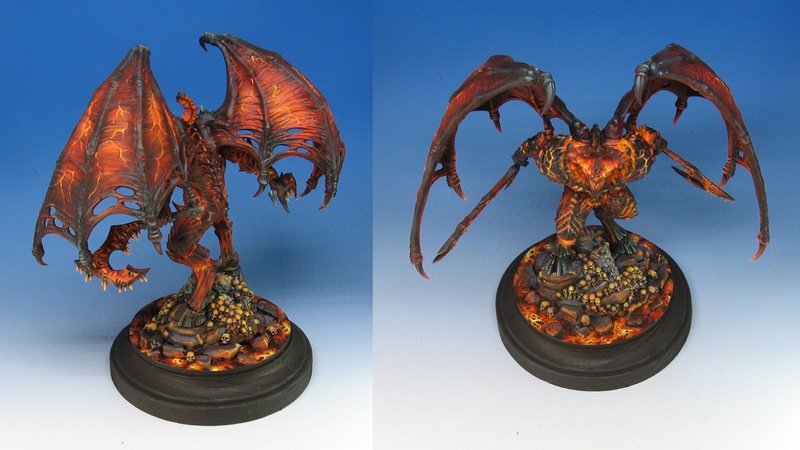 I will have versions available to the Patreon Patrons once we return from GenCon, where I am going to be painting some of these in the Badger Airbrush booth! Come and see me there.